(MoneyWatch) Yahoo (YHOO) announced 2013 first quarter revenues of $1.14 billion ($1.07 billion after traffic acquisition costs) and non-GAAP earnings per share of 38 cents. That is a year-over-year decrease of 7 percent in revenue (flat year-over-year after traffic acquisition costs). Earnings per share were up 26 percent. Average analyst expectations were for $1.1 billion in revenue and earnings per share of $0.24, virtually flat year over year. So Yahoo fell short on revenue and beat expectations on earnings. "I'm pleased with Yahoo! 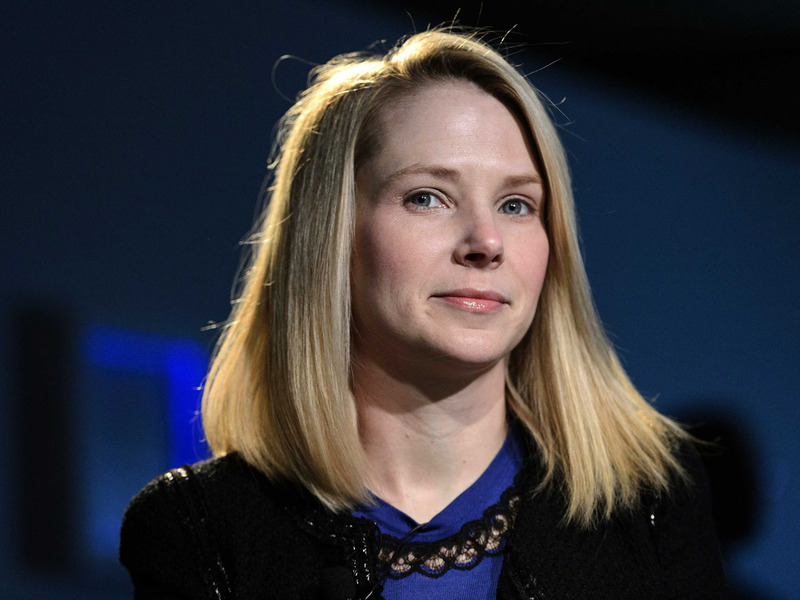 's performance in the first quarter," CEO Marissa Mayer said in the earnings release. "We saw continued stability in our business, strengthened our team, and started the year with fast execution against our products and partnerships. We are moving quickly to roll out beautifully designed, more intuitive experiences for our users." Investors apparently disagree: In after-hours trading, Yahoo shares fell 4.5 percent. Yahoo has been under pressure for years to ramp up its game to please investors. The lack of success has caused the ouster of three CEOs and the better part of a board of directors. Current CEO Marissa Mayer was brought in from Google (GOOG) in an attempt to shake up the company up, and shake she did. Changes have included redesigns of the home page and major services, management changes, a push to embrace many practices of her previous employer, an end to remote working in an attempt to make employees more obviously productive, and the acquisition of mobile news start-up Summly, which left many wondering what Mayer had received for $30 million beyond three employees and some licensed technology. Now that she has had about nine months to make major changes, this is the quarter that is seen as a litmus of her efforts. After years of the company seeing relatively flat performance in revenue, analysts set the bar relatively low with a 2 percent revenue increase. By not making that number, Mayer failed to deliver a sense that she could turn around the long-suffering company.